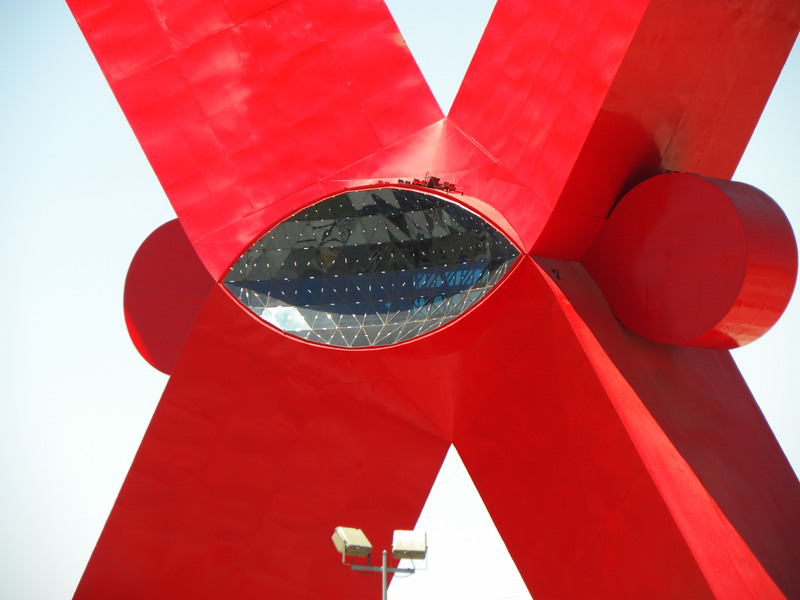 When I first saw the X, I was entranced. In a mountainous sea of brown scrabble stands a vivid splash of red. But, I wasn’t read for what was in store for me…. At first, the X did not appear to be the least bit threatening. 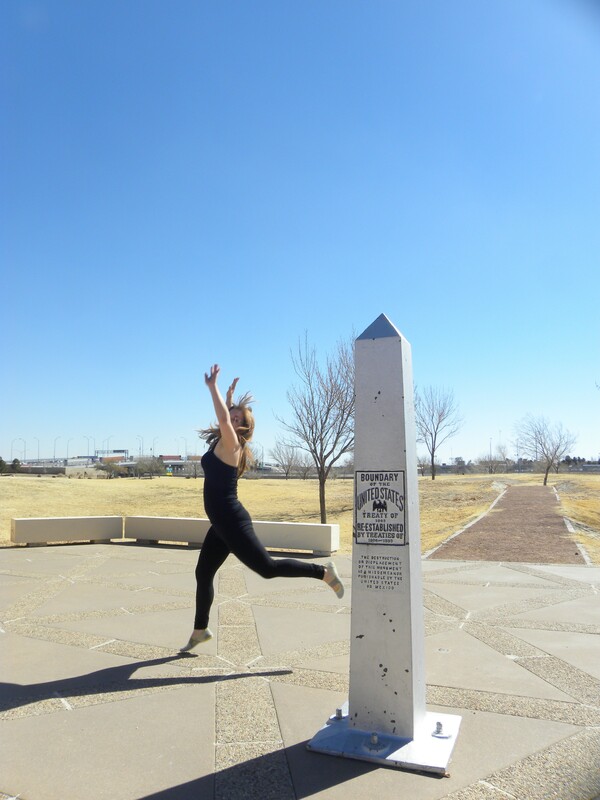 I ran. As I turned around to get in my car, I noticed the X had picked up its pace. This was the last image I was able to take before it was too unsafe. I don’t think the X saw me, but I wasn’t going to take any other chances. 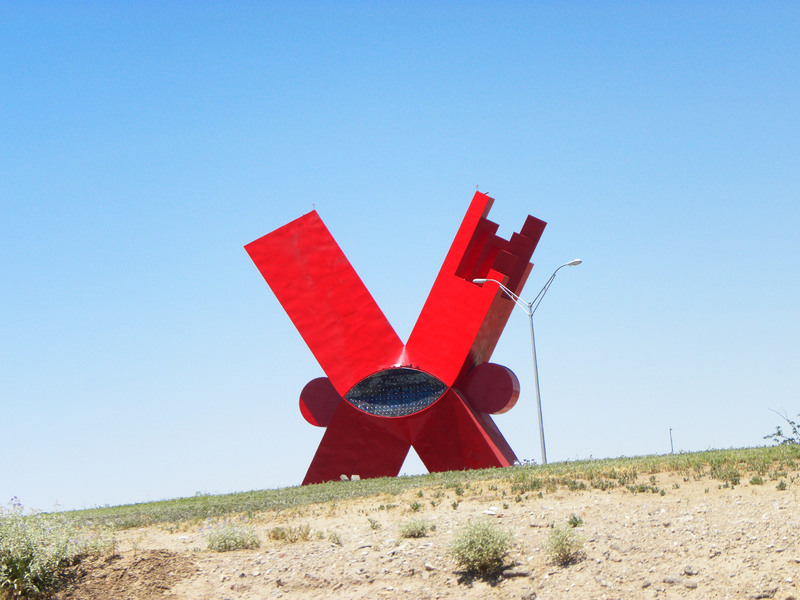 I’m really enjoying the addition of this X to the Juarez area! 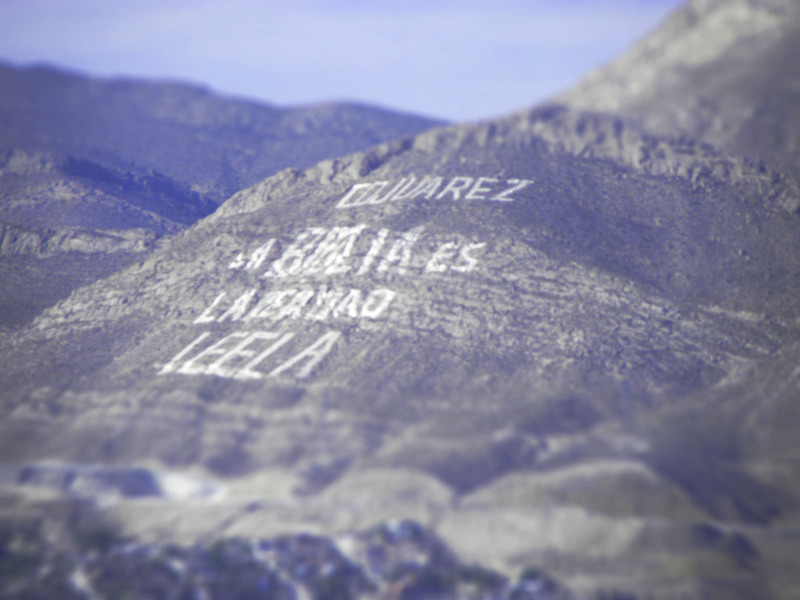 The first picture is of the iconic “La Biblia es la verdad LEELA” painted on the side of a mountain in Juarez. 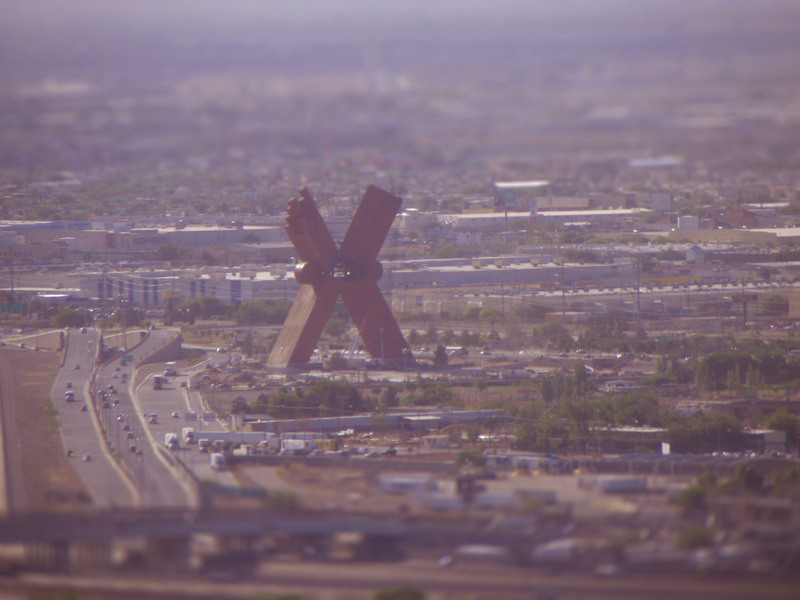 I started snapping more pictures when I suddenly noticed a great big X across the border. 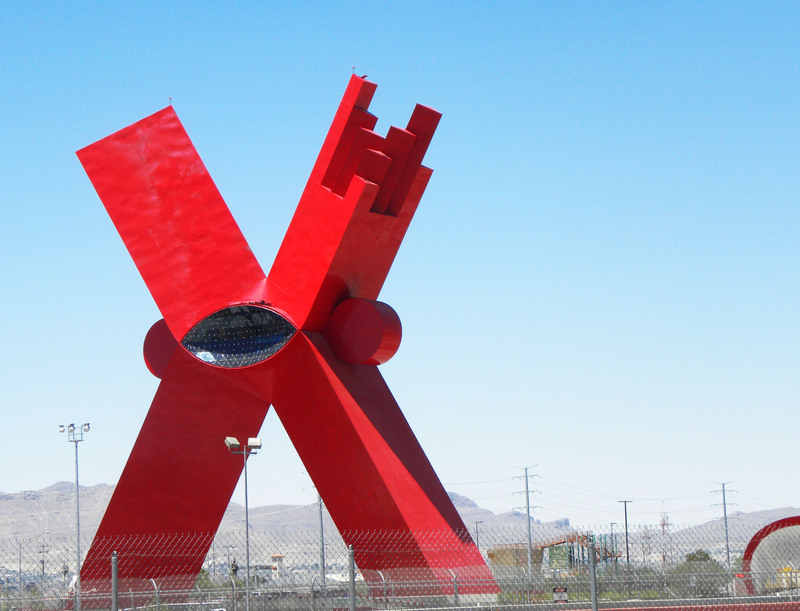 I did a little searching online to see what the sculpture is called. It’s called La X. The piece is not quite finished. It seems that there have been delays in construction due to lack of interest in the project by local leaders. It looks like they are working on it now, though. 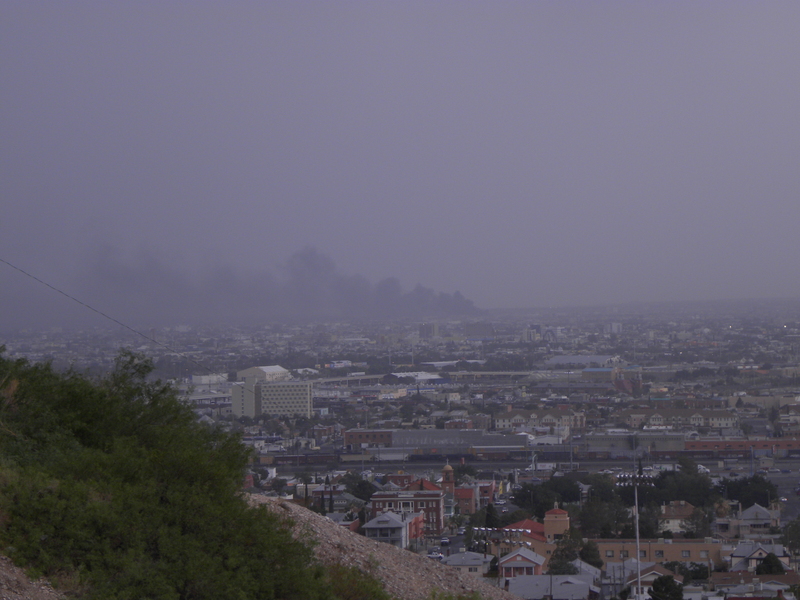 The mysterious black smoke of Ciudad Juarez. Years ago, this was not the scene across the border. Then again, there wasn’t a war going on between two drug cartels and the Mexican federal government either. Is it tires? I mean, I’m a little fire bug. You can’t get this level of pure black using wood. It’s unnatural. There are no white plumes or grey shading or even red flames. 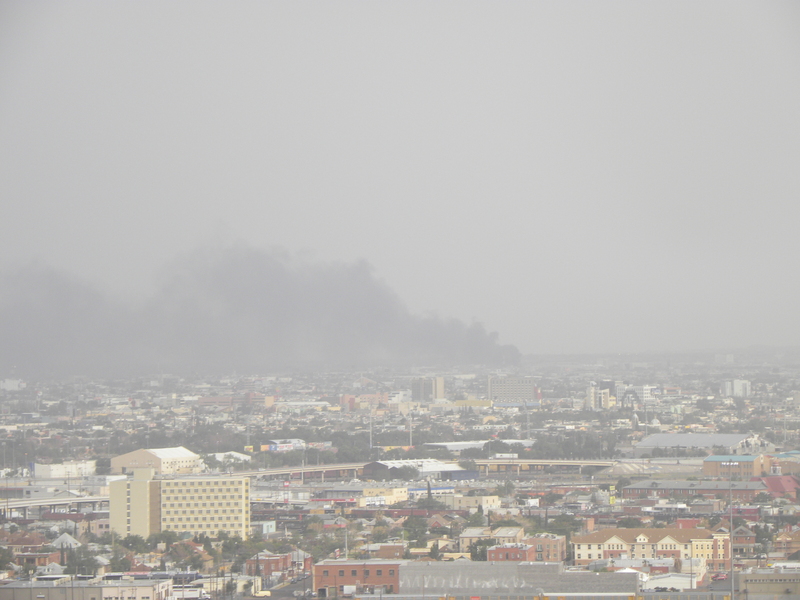 Just black smoke. Yikes. 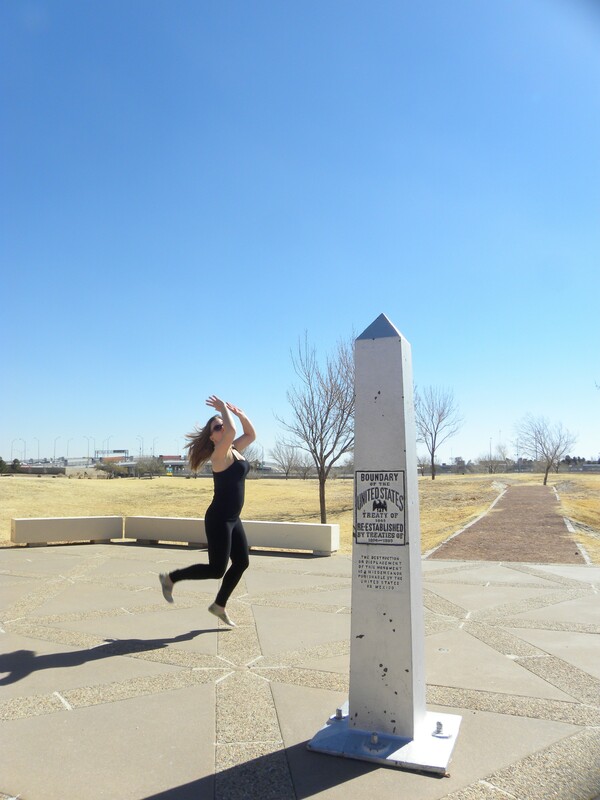 I went to Mexico this week (technically speaking)! 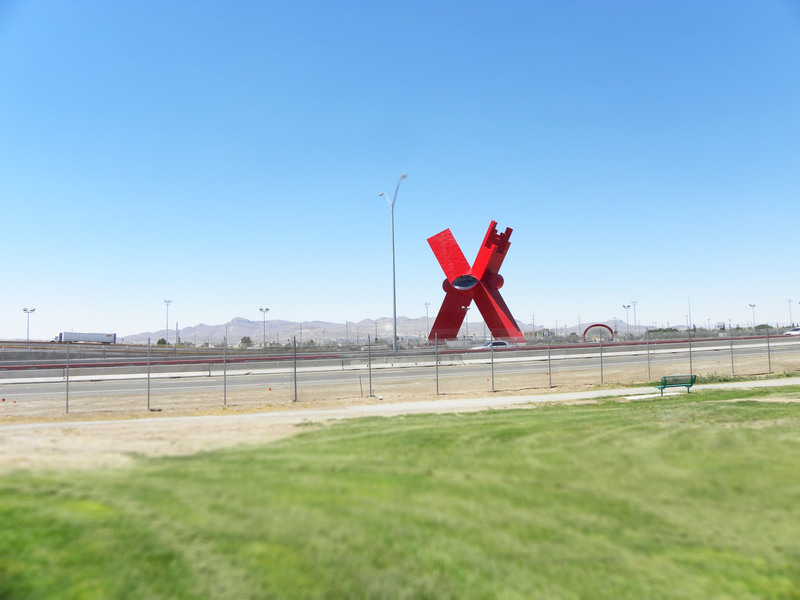 Right by the US/Mex border in El Paso, there’s a piece of land in the US but really it’s Mexico. It’s called Chamizal Park. 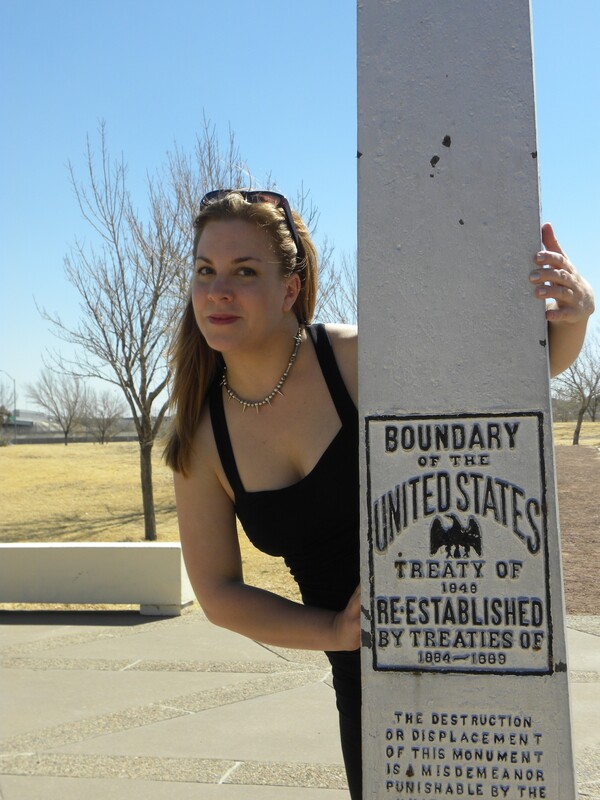 We were granted use by an international treaty. Anyhow, before I post pictures of the park, I think we’d all agree that pictures of me me me should be posted. I mean, a meteor could crash into my house and kill me instantly. These lovely pictures would be lost to humanity! 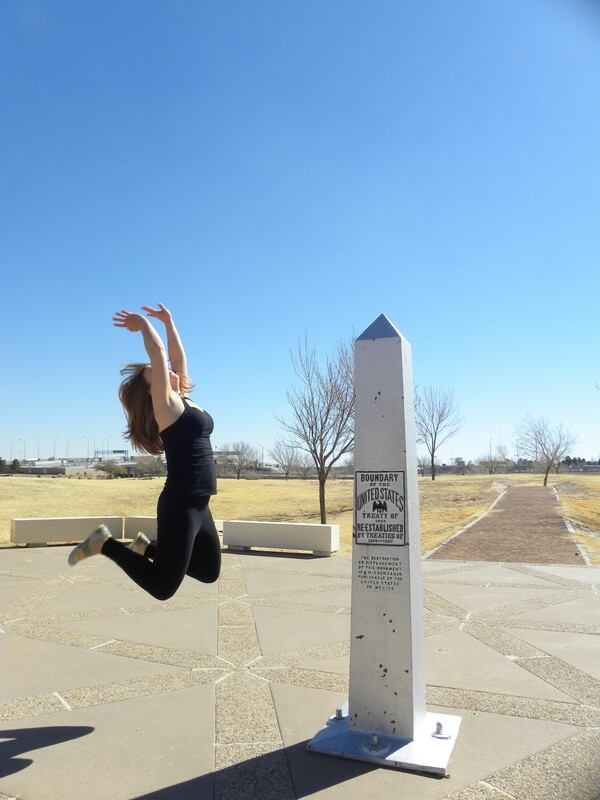 So, without further adoooooo: me acting like I’ve been possessed by the unholy dork-demon!